AOR January 25th, 2019. Thank you. My Aor is jan the 3rd , Medical hasn’t been passed yet although background check indicates IP2 stage! Has anyone experienced the same? Hi! Thanks for starting the thread. AOR 8 January 2019. I sent an email as suggested above to find out where my application is being processed and I received an automated response saying I should check the CIC site to see where my application is being processed? Does anyone know where on the site to look, I cant seem to find it? Hi! Mine is Jan 9, 2019. No status update yet. No updates either! I reckon, they still haven’t touched Jan’19 AORs. Ideally medicals are updated within 4-6 weeks from AOR. I am almost at 6 weeks with no progress on my application, no medicals or background check. 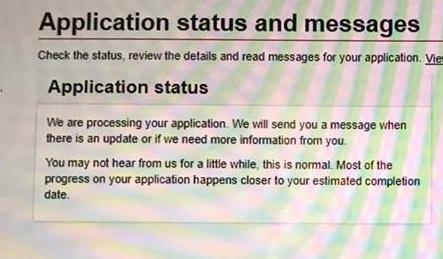 Applying from South Africa and there seems to be a real delay at the moment. AOR on 19 Jan’19. No updates yet. Hi all my AOR date is 17th Jan 2019. No updates yet. My AOR received: Jan 11th, 2019 Medical Passed: Feb 19th, 2019 Received Biometric request: Feb 19th, 2019. My e-AOR is 18th Jan 2019. Not received any message on Medicals Passed. Hi, the very first update is about clearing Medicals followed by Biometric request in some cases. Did receive any emails about the “update in your application” or “a new message”? I am at the same stage it seems…is there a change for you ? I thinks so, I really don’t know how to confirm if one is in IP1 or IP2. But from recent post, I learnt the system has changed. Wish you the best. I hope our process is fast.